Breakfast at Tiffany’s is one of those American classic films that is heralded as one that every film buff must see. For over a year it sat on the instant queue, constantly passed over in favor of some other cinematic escape. Well it was finally watched and is very much a depiction of the classic style of a bygone era. 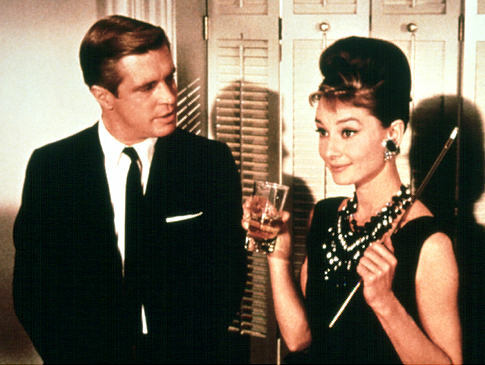 Based on the novel by Truman Capote, the film is best known for Audrey Hepburn’s Oscar nominated portrayal of New York socialite Holly Golightly. 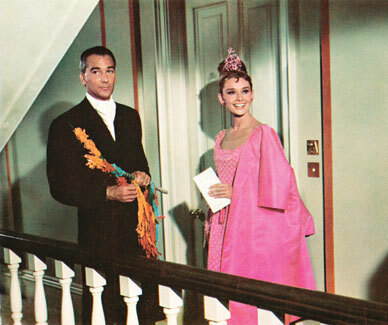 Hepburn’s Golightly is captivating yet tragic as she is lost and somewhat aloof in her denial of the things and situations that are right in front of her face. 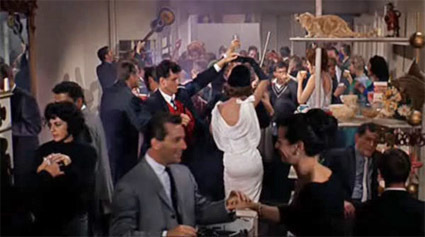 While Hepburn is the star of the film, it is George Peppard’s Paul Varjak’s (and a cat) who really steals the movie. As a child of the 80s George Peppard will ALWAYS be the cigar chomping Hannibal Smith from the A-Team, so it took a sometime for him to convince me that we was the Varjak. Once that happened, Varjak’s writer/gigolo character plays the perfect foil to Golightly as well as the perfect chisel to break her out of her rock solid delusional state. Billed as a romantic comedy, the film is head and shoulders above any film that is assigned to that genre today as it embodies more drama and heart than any romcom that in released today. The style of the movie is very much a reflection of the Mad Men style that we know today. 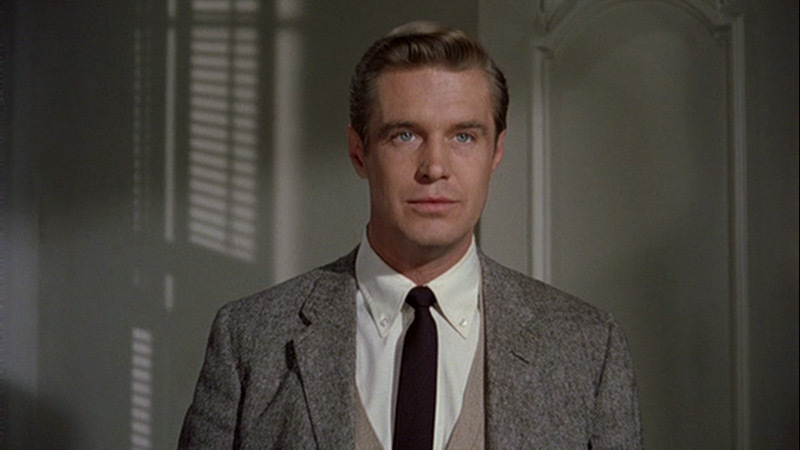 Peppard’s Varjak as the film’s leading man is the leader of the pack when it comes to style. When we first meet Varjak he is clad in a tweed blazer, tie, and cardigan. This sets the tone for the film as every major male character (excluding Mr. Yunioshi) is presented as a stylish strand to the increasingly complex web of a life that Golightly has woven. 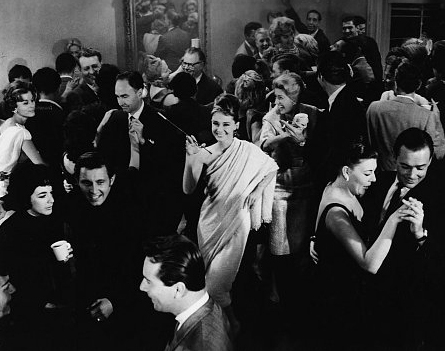 The party scene is a very rambunctious one, yet it never loses its style or sophistication amid the utter insanity that results. Even as the climax of the film finds our leads soaked from the pouring rain, they still retain their style and charm. While not a perfect movie, Breakfast at Tiffany’s is a captivating adventure into one woman’s denial and discovery of what is present and worthwhile in her life. The performances of Hepburn and Peppard offer very believable portrayals of unexpectedly complex characters that many can identify and empathizes with even today. The style of the film is one that exudes a sophistication of a bygone era, yet the style is a classic one that has never gone out of style.